I am a British Wheel of Yoga (Dip) teacher. I began going twice weekly to yoga classes about 15 years ago when I had ME and enjoyed them so much that I started practising at home too. It wasn’t long before I noticed how much yoga was improving other areas of my life besides making me stronger and more flexible. I had been using a wheelchair to get around for some time and had suffered considerable muscle loss, especially in my legs and back. Whilst attending a rehabilitation course I managed to injure my back and right hip, bulging 2 discs and tearing muscles and tendons. Going to yoga classes really helped to strengthen my back in particular. I also noticed that I was sleeping so much better and was much more relaxed and able to take life in my stride. I learned how to breathe properly again using the whole of my lungs and instead of shallow breathing. The “brain fog” which had troubled me for so long at last disappeared. When I recovered I decided to train as a yoga teacher with the British Wheel of Yoga which is the UK’s largest and most respected yoga organisation. 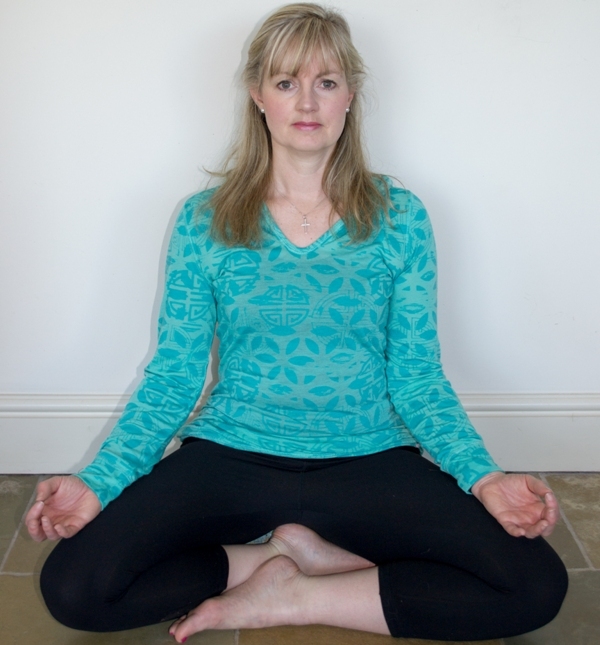 I now teach yoga classes in Colchester and the surrounding area to students of all ages. My youngest is 17 and my oldest is 85. I am also a BWY qualified yoga for pregnancy teacher. As a mother of two I understand just how much yoga helps to prepare the body and mind not just during pregnancy but during the labour and with recovery afterwards. I have a particular interest in working with students who have lower back problems. Yoga is one of the best ways to improve your lower back health. A recent study performed by the University of York and sponsored by Arthritis UK found that “yoga, comparative to other forms of treatment researched as a treatment using similar outcome measures, is shown to be more effective than exercise, manipulation, exercise and manipulation combined, cognitive behavioural therapy and some measures of the Alexander Technique (yoga was better than 6 sessions, but not as good as 24 individual sessions)” and significantly improves lower back function and reduces pain.